Ashok Masala Mart is presently engaged into manufacturing and supplying of blended spices, whole spices and grinded spices. The company has been supplying the traditional and delectable range of spices. It is committed to manufacture and supply different types of spices, meeting highest quality standards in line with customer requirements. 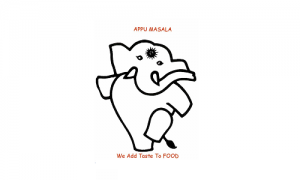 The company has two brands "APPU MASALA" & "GAYATRI MASALA" with more than 30 types of Spices and Masalas including instant mix range such as Pav Bhaji Masala, Chaat Masala, Tea Masala, Garam Masala, Sambhar Masala, Punjabi Chole Masala, Biryani / Pulav Masala, Kitchen King Masala and various Powders like Red Chilli Powder, Jeera Powder, White Pepper Powder, Turmeric Powder. It is positioned as professional and has built a reliable reputation within Maharashtra’s spices arena. Ashok Masala Mart IPO allotment status will be available on Karvy Computershare’s website. Click on this link to get allotment status. You can also check allotment status using application number on this link. Whether allotment date is yet 2 b declare? Allotment and listing date please? Liquidity will be an issue. Just Rs 2 cr ipo size. What others think? CAN I APPLY OR NOT? POSSIBLE FOR POSITIVE OPENING??? What is the recommendation over it. Apply or Avoid ?